To better understand the customer experience, organisations need to do more than just capture data, they need to analyse it. We talked to Jon Fowler CEO at Vevox a specialist in audience engagement technology, about how the company is exploiting data to drive smarter marketing campaigns, product development, and sales engagements. Why do meetings need a make-over? People spend a lot of time preparing presentations for meetings and lectures but don’t always get to see the ROI. A lot happens in a meeting that can help improve the presenter and audience experience at future sessions. 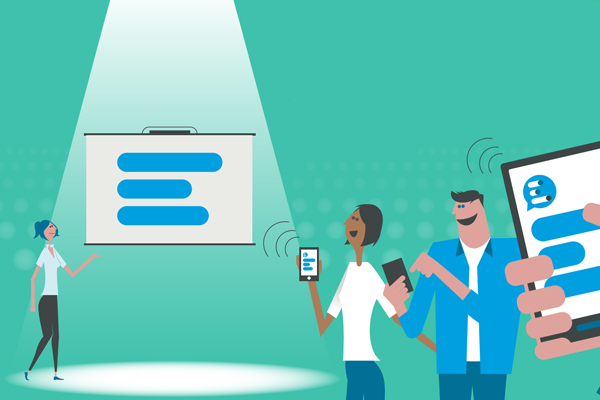 Our Vevox app enables organisations to not only capture attendance rates, questions, and comments, but also to perform live audience polls. How does Vevox use data collected by the Vevox app? Lots of ways! First off, it helps drive product development, as we can track how customers are choosing to use Vevox. This means we can keep evolving the app to better meet customer needs – we release new Vevox features every five weeks. The data also feeds into our sales and marketing activities. I’ll give you an example. If we spot that a customer hasn’t explored all of Vevox's functionality, we’ll put them on an automated journey to suggest other use cases. Data is key to improving how we engage with our customers and is challenging some of our previous assumptions. How do you make sure this data doesn't get stuck in operational silos? We've taken a very open approach to sharing data – every performance dashboard within Salesforce is accessible to everyone in the business. We encourage people to collaborate within Chatter when progressing new business opportunities – this is particularly helpful for sharing information globally. With teams in multiple countries, we need to break down geographical barriers. It used to take us days to compile a global sales pipeline, now it’s instantly available on a dashboard. We’ve also empowered our teams to access data remotely through the Salesforce1 Mobile App – and it’s proved a real hit. The Vevox team check the app an average of three times a day! That’s a great stat. What other business insights have you unlocked? I could bombard you with lots of ‘did you know’ metrics about our business, like the fact that a Vevox customer can sign up for a paid account and receive an invoice in five minutes! But as a CEO, I don't want to just analyse the past; I want to predict the future. And that’s why we’ll be deploying Analytics Cloud and Einstein for Artificial Intelligence. With this added layer of insight, I’ll be able to give teams the insights they need to make smarter decisions. For example, an account manager could look at their deal history to work out which sectors have proved the most lucrative. They could then segment and prioritise their current pipeline accordingly. We grew our Vevox user base by 400% last year, and with predictive analytics, we hope to achieve even stronger numbers in 2017. Why is a single view of the customer important for your business? We can’t personalise and automate the Vevox journey if we don’t understand our customers. If we have a single view of the customer, we can offer targeted promotions, and we can send relevant content. We can adapt the way we sell, market, and develop our product to meet different customer personas. We can also make sure all our teams know what’s happening with a customer account. For example, by integrating our finance system with Salesforce, account managers can see if a customer has an outstanding invoice to be paid before they go to a meeting. What are your tips for a successful Salesforce implementation? Salesforce has the power to be really transformative, but you only get out what you put in. We have our own in-house Salesforce guru to help with ongoing customisation and integration, which means we can continue to take advantage of new features, such as Einstein. We’ve also established Salesforcue champions who are constantly coming up with new ideas about how we can exploit the platform. We’ve already gone way beyond just CRM; Salesforce drives how we operate and improve our business. Unlocking new data insights and predictive analytics is critical to driving growth and enriching the customer experience. Read the full success story to find out about how Salesforce is shedding new light on Vevox’s business.